Volunteering in Mrs. Morgan’s Kindergarten classroom at Eccles Elementary. 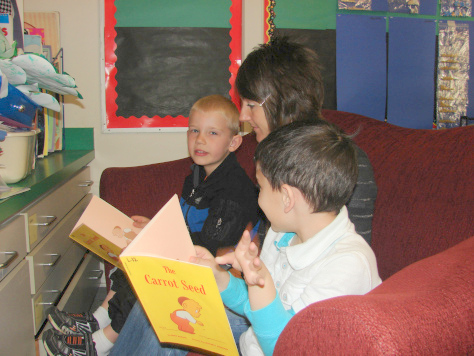 The Teacher Adoption Program matches community members with Canby’s K-12 teachers in need of volunteers. 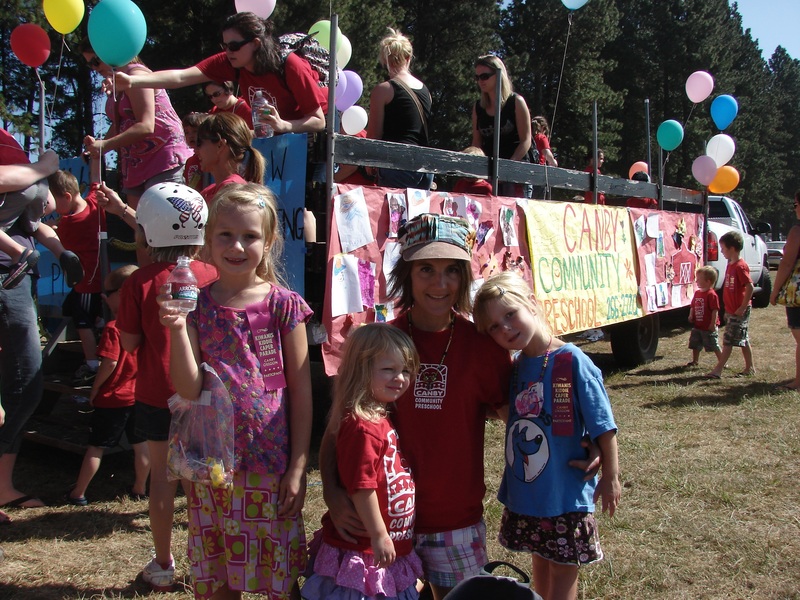 Superintendent Steach caught this vision for Canby over winter break in 2012 and asked me to lead it. I happily obliged! It became a paid Volunteer Coordinator position for the district, but the grant funding was cut this school year. However, I continue in this position on a voluntarily basis. The matches I made between the Canby community and the school community were very valuable, and I want to see them continue to thrive. Volunteers can either select a teacher of their choice to “adopt” or I can seek out a suitable match for them. The grand re-opening of the Friends’ Book Garden bookstore in the Library was in November of 2013. I joined the Friends board in January 2013 and feel honored to be part of this intelligent, dedicated group of people. Alongside Penny Hummel, the Library director at the time, we worked hard to prevail upon the city council that the location and architectural plan of the 2nd Ave project were top notch. Moreover, the Urban Renewal money that the council had previously allocated for the project was in the bank and would be well invested in this state-of-the-art building. 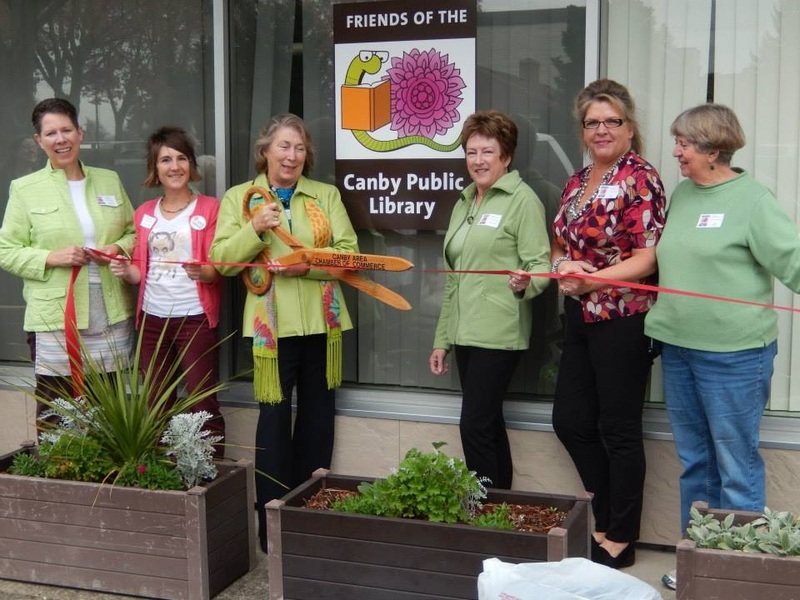 The council ultimately voted to stop the project, so the Friends redirected our energies towards renovating our book store, renamed it the Book Garden, and had a grand re-opening in November of 2013. I am now the Volunteer Coordinator and Membership Chair of the Friends and take great pride in the beautification that we accomplished. All proceeds from the Book Garden are all donated to the Library. 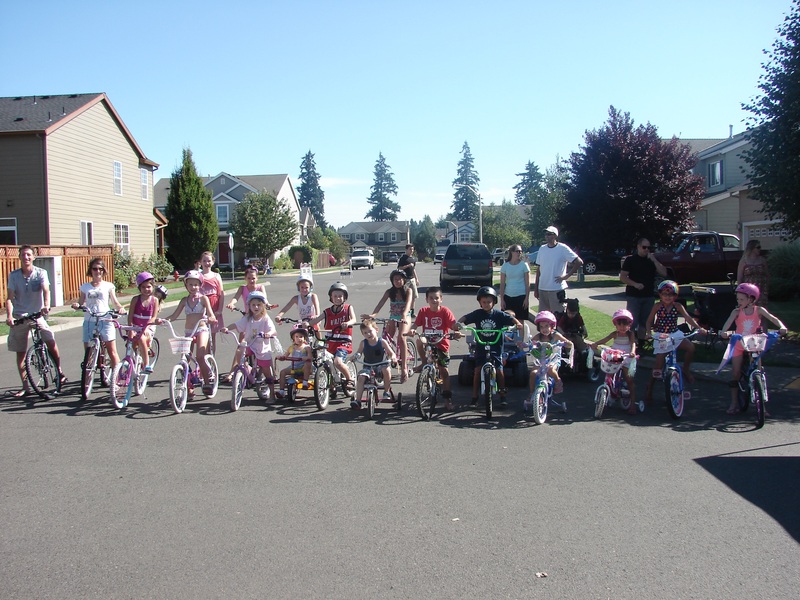 Ready to begin our bike parade around the neighborhood to kick off our annual block party. I joined the Auburn Farms HOA board in August 2013 after the existing board members witnessed my neighborhood leadership: I brought back the annual block party, which my family hadn’t gotten to experience since we moved in–in late 2011. Moreover, the previous fall I canvassed the neighborhood to get enough proxy votes (75% of the neighborhood responded) to lower our annual dues. It was a successful campaign, the neighborhood was thankful, and it improved the sense of community and unity for us. This spring the board initiated a major and long overdue neighborhood-wide landscaping overhaul, which required much coordination with several parties, including City of Canby staff, engineers, our landscaper, and the HOA board itself. My role as communicator and coordinator was instrumental in seeing this project through. I was on the Canby Community Preschool board for 4 years: 2 years on the Parent Advisory Committee as the Special Events Coordinator and 2 years on the Executive board as the Registrar. The preschool is a co-op, in which parent involvement is key and educating the whole child is paramount. My mission at the preschool was to foster camaraderie and a closer-knit community among our approximately 65 families through friendly, effective outreach and consistent communication. At the Kiddie Caper Parade with my daughters and the rest of the preschool float riders. I was the Communications Chair for the annual spring auction last year, as well. My kids have all matriculated to the elementary level now, but it was a joy to be part of this well run, caring community; Myron and I plan to attend the auction, as alumni, to support the preschool for years to come. Coach Ron doing a group cheer with the runners at the Ackerman track. October 2014. I founded the free Youth Running Club in the fall of 2013 because my nephew, Tyler Gamble, an 8th grader at Baker Prairie Middle School, was itching to run but had no formal middle school team to run with–due to budget cuts. 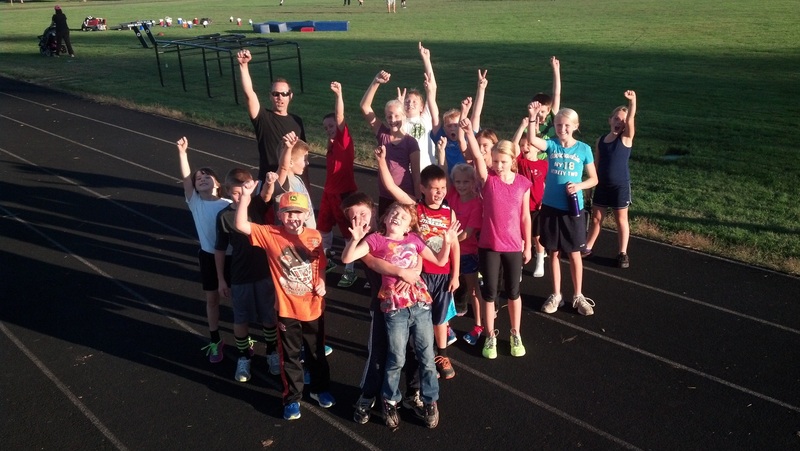 I am a runner, and as the Volunteer Coordinator of the school district, I had enough connections to make the Youth Running Club a reality for kids ages 8-14. With high school Coach Milbrooke on board with the idea, I recruited 2 dedicated volunteers, a Tuesday coach and a Thursday coach, to run with the kids through the fall. I found two different volunteer coaches to lead the group in the spring. We continue to practice this fall. And this season, I am the Tuesday coach!